Danny Bittner joined Southeastern Commercial Finance, LLC in December of 2006 as Vice President/Director of Business Development and currently serves as Senior Vice President of Business Development. Danny is focusing his marketing activity in Alabama, Georgia, East Tennessee, Florida, Louisiana, North Carolina, and South Carolina. 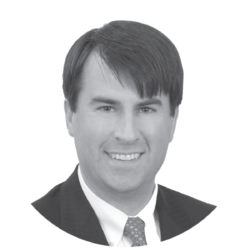 Mr. Bittner is a Birmingham native and graduated from the University of Alabama with a Bachelor of Science degree in Finance. After graduation, he rejoined Regions Financial Corporation as a Loan Examiner in their Loan Examination Department. After spending over two years with the bank, Mr. Bittner entered the Title Insurance Industry where he held numerous positions including Business Development for Alabama, Mississippi, Tennessee, and Kentucky. He has been in the Commercial Finance industry for now over ten years. Mr. Bittner is active is numerous industry associations including the Commercial Finance Association, Turnaround Management Association, Association of Corporate Growth, and Risk Management Association. He is also active in the Alabama Bankers Association, Tennessee Bankers Association, Georgia Bankers Association, Florida Bankers Association, and other banking industry trade group. Mr. Bittner has held numerous leadership roles in these associations as well. Mr. Bittner’s interest outside of the workplace includes spending time with his wife and four children, traveling, and participating in numerous sporting activities.